Taking out a payday loan? 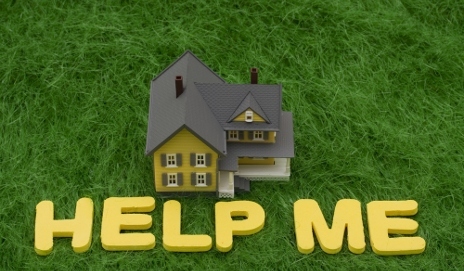 Could your credit report suffer? Payday loans have always been a controversial product. But worrying new findings suggest that payday loans may even damage borrowers’ chances of getting credit in the future. So what can we do about it? 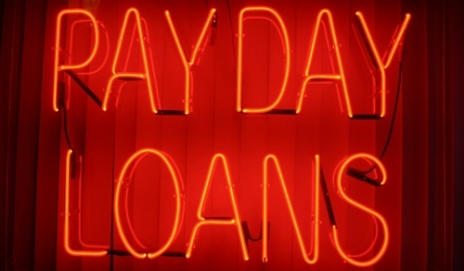 On Monday, new codes of conduct for the payday loans industry come into force. Following the Office of Fair Trading’s review of the payday loans industry this week, chief executives from the industry were quick to hold up the new code as an example of how the industry is getting better. Hopefully they’re right, and that these codes will help clean up the bad practices of the payday loans industry. However, if the new codes are going to be worth the paper they’re written on, far more needs to be done to enforce the rules and protect vulnerable people. To that effect, we want to see stronger commitment that lenders will carry out robust credit checks, to make sure that only those who can afford payday loans can actually take them. When we first looked into the industry this year, we found that when processing a loan, most payday lenders only asked borrowers about how much they earned to assess if the borrower could afford repayments. They neglected to check the customers’ outgoings, or whether they had other credit products or a healthy credit history. The results of these insufficient eligibility checks were revealed in our recent survey, when we found that half of payday loan users had taken out credit they couldn’t repay. If the payday loan trade bodies properly monitor and enforce the updated code, there should be fewer borrowers getting into financial difficulty. But payday loans users may come to regret their loans for another reason. The Financial Ombudsman has heard anecdotal evidence of payday loan users struggling to access other forms of credit, like mortgages, later down the line. We’ve also heard that lenders have been telling consumers that payday loans, even those paid back on time, could have a detrimental impact on their credit ratings. Most credit reference agencies list a payday loan separately, rather than including it in the general overview of credit history. To me, this highlights that payday loans are viewed differently to other types of credit. So far, the Ombudsman doesn’t appear to be getting lots of complaints about payday loans damaging peoples’ credit histories. If they do start coming in, it could be another dent for those who thought these loans were an innocent quick-fix. This is why we need to hear from you – if you’ve taken out a payday loan, have you had any problems gaining credit since you had it? In the first instance pay day loans in my opinion should be regulated and this would reduce some of the risks associated with borrowing. Secondly the interest rates that payday loans charge is obscene and for this reason i think they should be restricted to qualified borrowers only and given to anyone over the age of 18 years. I have experienced the payday loan industry in the US and identified it then [as so many others have] as legalised loan sharking which has cause harm to thousands of people and hoped it would never happen here. When the Government announced that they were effectively legalising loan sharking in the UK, my heart sank because I knew just where this was going. How can any Government allow a company to charge 1000s% to it’s people, if they believed this service was necessary why not limit the top end % in the beginning? These firms contribute absolutely nothing to our society, and are causing immense harm to individuals who are already finding it very difficult to cope as costs for everything soar, and incomes fall, these desperate souls are promised a quick fix, which looks good up front. If they cannot afford to pay debts, how can taking on another loan [not enough for debt consolidation or to do anything significant] solve their problems. A single Mum in difficulty can ‘borrow’ £100 to do the family shop, so her children can eat that week, if she couldn’t find money for that essential, then how do the payday loan companies expect her to find extra money to repay them. The answer is they don’t, they expect many to fall behind and even if they don’t get the full 4000% back, they still take back an obscene amount of profit for such a small loan. I firmly believe [my personal opinion not Whichs] that these firms were allowed to be set up and operate in the UK for one reason only, for the benefit of the owners, directors, and cronies, people such as Adrian Beecroft the chairman of Dawn Capital, one of Wonga’s biggest stockholders, who just happens to be a Conservative Party donor. All the payday loan companies have made massive profits. Wonga is worth nearly £400M, its chairman purportedly earned over £1.5M last year. These guys have made enough money out of this already, time to end it. We should immediately stop these companies giving any more loans, transfer the £billion loan portfolio to credit unions who would reduce the interest to an acceptable level and take over the administration of them. The credit unions would then be used to plug the gap left by both the legal and illegal loan sharks., by offering small short term loans at affordable interest rates, whilst encouraging people to save [even if it is just £1 a week it will help to educate peole back into saving whatever they can].